In our Boutique, we have a wide range of unique ladies accessories. Whether you are looking for a handbag, scarf, jewellery or a gift for someone special, we have something for everyone. We also carry exclusive Mother of the Bride and Groom outfits with matching fascinators and hats in over 72 colours so we can find the perfect match for your suit or dress. If you are interested in evening wear or prom dresses, please see our ‘Bridesmaids & Prom’ section above. 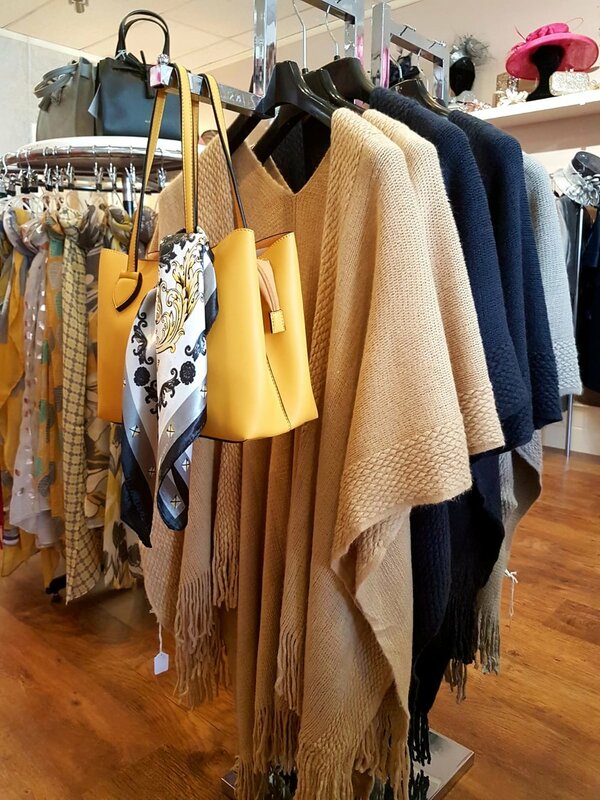 Our boutique carries a wide range of accessories including handbags, scarves, jewellery and much more. We ensure all of our accessories are as exciting for us as they are for you and we love helping find the perfect combinations to compliment your outfits! As well as our beautiful accessories, we have a selection of gifts including, gloves, compact mirrors and make-up bags. In our Mother of the Bride and Groom department, we carry sizes 8-24 in a wide variety of colours and fabrics. Our experienced staff are always happy to advise and help you find the perfect combination for the big day. Whether you are looking for something traditional or something a little different, we can find what you are looking for. We’re not just about formal wear at So Gorgeous! If you are looking for something to wear every day, whilst remaining stylish but comfortable, we have something for you. With faux fur and knitted wraps and day dresses, we can also offer you something to match all of our beautiful accessories.